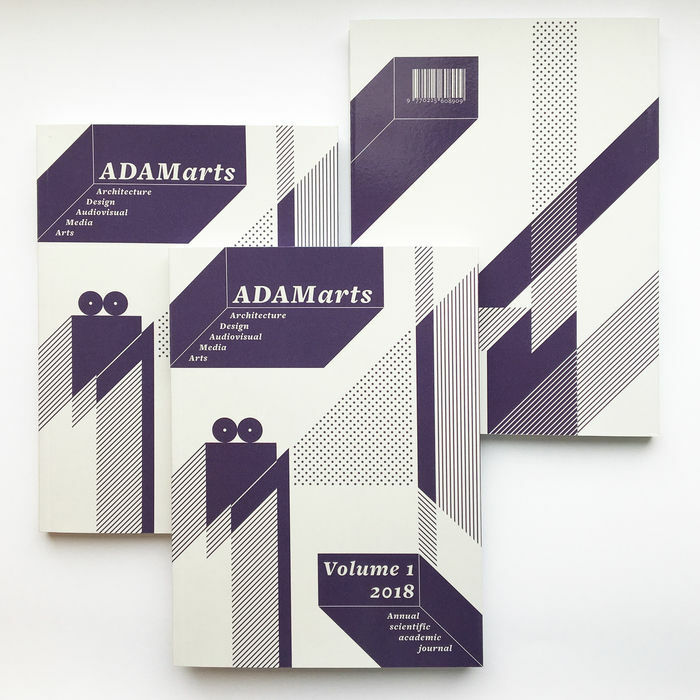 ADAMarts is a double-blind peer-reviewed academic scientific journal dedicated to architecture, design and audiovisual media arts from the Baltic Sea region, published once a year by RISEBA University's creative faculties – Communications and Media, Architecture and Design. ADAMarts aims to bring together leading academic scientists, researchers, scholars and practitioners from around the world and encourages a variety of approaches to the urban phenomenon – the strengths of the editorial board run from urban planning to architecture, design and digital media. • Architecture and interior design – design theory research, education and practice, exhibition architecture, crowd management planning, design of the interior environment, design innovations for aging, coloured exterior and interior lighting, environmental psychology and other related topics. • Planning – urban planning and development, urban affairs, planning education & research, innovative planning programmes and techniques, preserving large landscapes, planning & environmental law, public budgeting and finance and other related topics. • Any topics from the related fields of design, production and consumption. Editor-in-chief: Jānis Lejnieks, Dr. Arch., Assoc. prof. and leading researcher. Editor of the Volume I: Dina Suhanova, Mg. Art., BA programme director and project manager. International Editorial Board: Jānis Dripe, Dr.h.c.arch., Head of Architecture and Design Department RISEBA, Jānis Holšteins, Mg.art., Mg.oec, Head of Audiovisual Media Arts Department RISEBA, Jana Jākobsone, Dr.arch., Head of Architecture and Department in Kuldiga region, Ilze Paklone, Dr.arch., Assist. prof., Architecture and Design Department RISEBA, Pēteris Šķiņķis, Dr.geogr. Latvian University, Faculty of Geography and Earth Sciences, Toomas Tammis, professor at the Faculty of Architecture, Estonian Academy of Arts. Design concept, graphics, and layout: Igors Malovickis. Language editor and translator: Benjamin Breggin.